Is SxSW Swamping TwitPic? Or is TwitPic just Unreliable? Until yesterday, my experience with TwitPic had been quite good. If you’re not familiar, TwitPic is a utility that lets you upload pictures from your iPhone (if it’s available for Blackberry, please let me know) to Twitter using clients like Twitterific or Twittelator, and publish a link to the photo as part of your tweet. 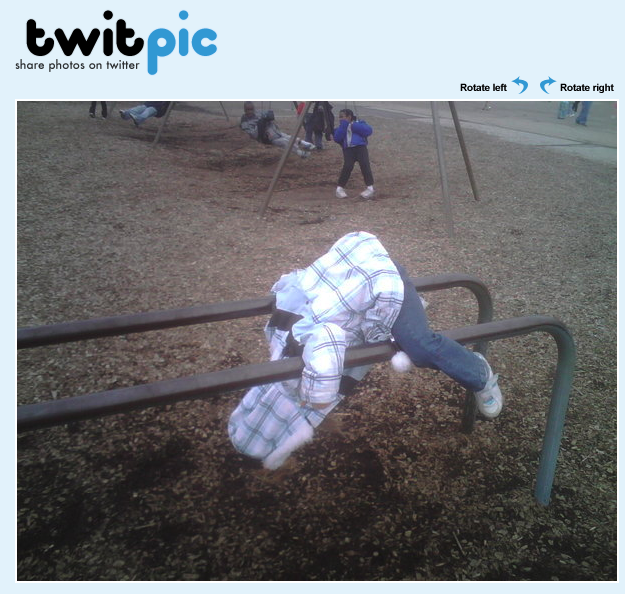 TwitPic was profiled in Twitter 121. And the photo was just as I had expected. I’ve heard that all the iPhone users at South by Southwest (SxSW) 2009 have overwhelmed the network capacity at the location with their Tweeting. Do you think this might have had anything to do with the TwitPic failures I experienced yesterday? That maybe lots of pictures were being uploaded at once, and somehow the links got switched? 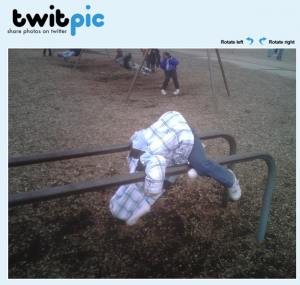 Have you had any problems with TwitPic? I know that based on this experience I’m going to be extremely reluctant to upload work-related photos to TwitPic, until I find out what caused this problem and what has been done to resolve it. If you can’t trust that the photo you’re uploading will be the one linked in your Tweet, how can you use TwitPic? Author Lee AasePosted on March 17, 2009 March 16, 2009 Categories TwitterTags iPhone, photo, photo sharing, Sharing, SxSW, TwitPic, Twitter, UtilitiesLeave a comment on Is SxSW Swamping TwitPic? Or is TwitPic just Unreliable? Part of the power of Facebook is that it makes sharing information with your friends extremely easy. Within Facebook, for example, you can use the Chat feature for instant messaging, and the “Send a Message” function is a lot like a web-based e-mail service. But there’s an even better feature that let’s you easily share anything on the Web (as long as it has a unique URL), with any of your Facebook friends. And you can do it either actively or passively. Say, for instance, you think the 10 Steps to Your Own Free Podcast program is the most wonderful way to learn about podcasting. Or you have a friend who is interested in trying scleral contact lenses so you want to send her a video.